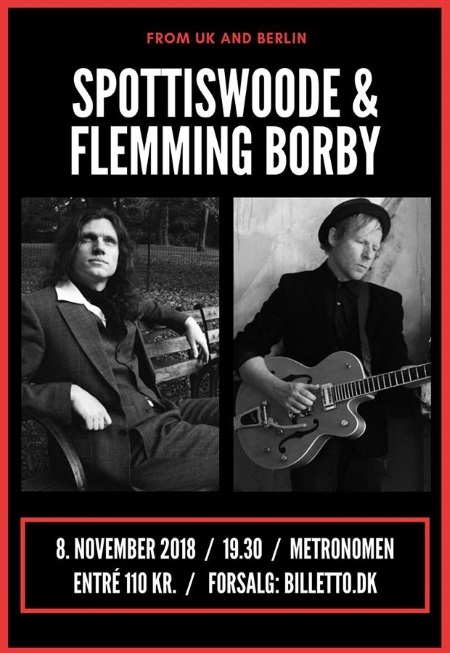 NYC based English singer-songwriter Spottiswoode has a gig in Frederiksberg @ Metronomen on November 8. He will be sharing the bill with Flemming Borby. Spottiswoode & His Enemies will release their new album Lost In The City in November 27. HCTF review of English Dream.